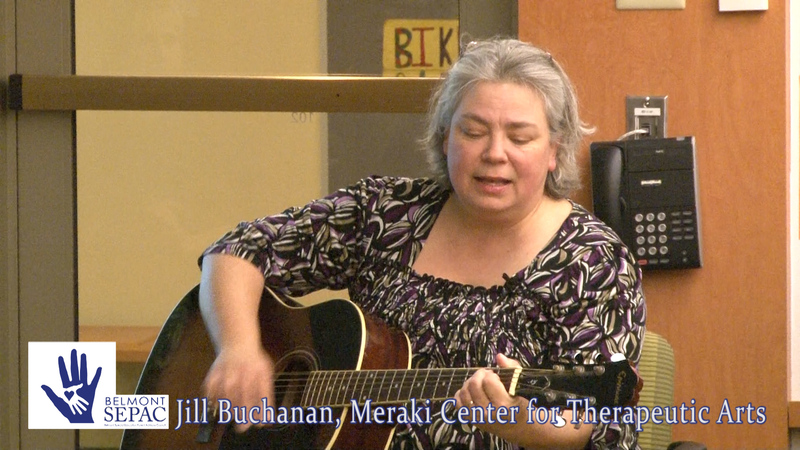 Belmont Special Education Advisory Council welcomed certified music therapist Jill Buchanan from the Meraki Center for Therapeutics to talk about her work with special needs children and she debunks some commonly held misconceptions about the music therapy profession. In her presentation she shows how the latest neuroscience overwhelmingly supports music therapy as a healing and learning tool. Watch the program HERE.